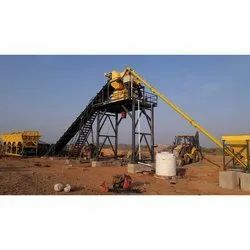 We are a leading Manufacturer of concrete batching plant from Ahmedabad, India. Our organization is counted among the most trusted business entities, offering optimum quality Concrete Batching Plant that finds its extensive applications in various civil industries. Precisely engineered using quality assured components and modern technology, our provided plant is in accordance with set international quality standards. This plant is highly appreciated by the clients due to its high strength and optimum capacity. Apart from this, our esteemed clients can avail this plant at industry leading prices.